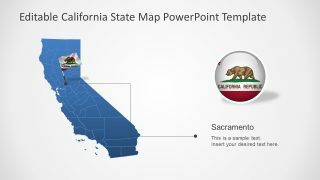 The California State PowerPoint Map Template is an ideal presentation tool for demographic and geographic presentations. 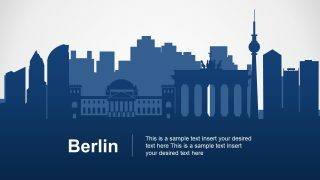 This template presents 7 slides of standard gray and blue color theme, available for all SlideModel Maps. 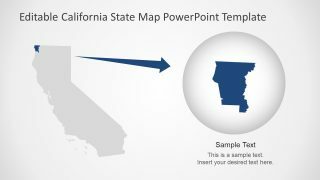 The template shows a silhouette map of California with outline segments representing counties. 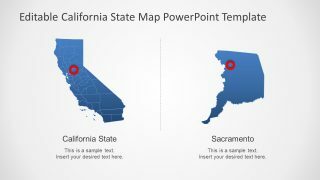 These counties are editable segments, enabling users to change various PowerPoint design properties of map. 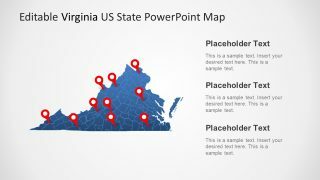 And, for the visual representation of US State, this PowerPoint offers two flag icons. The grizzly bear and lone star on California flag represent historic events. 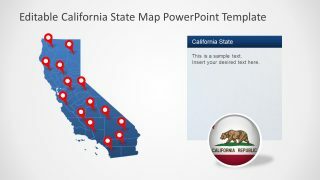 Therefore, the PowerPoint template of California map shows badge and flag-on-pole clipart icons. 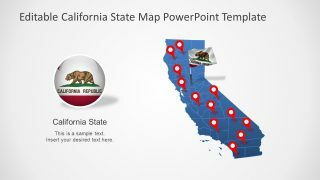 The California State PowerPoint Map Template is a digital presentation of US state despecially several geographic areas. The PowerPoint include many location pin markers to point areas, specially market segments. For example, company may want to establish sales-point and possible franchise opportunities with the help of location pins during presentation. Similarly, this map could be used as tour guide to mark counties and their capital cities. 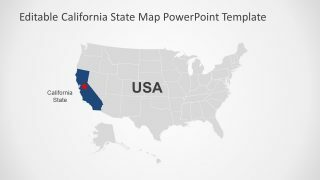 Or, simply educate students about history and quick introduction of California in PowerPoint maps. 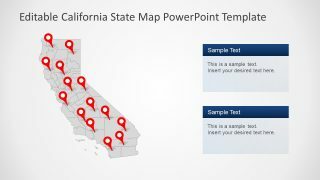 The Editable PowerPoint map of California state enables users to change colors of all segments, resize them or add effects. PowerPoint offers range of shape and design features including 3D or gradient effects, shape and outline fill, fonts, and more. 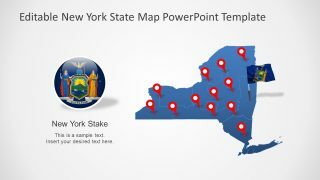 This digital map is also known as outline political map and often used in business presentations. 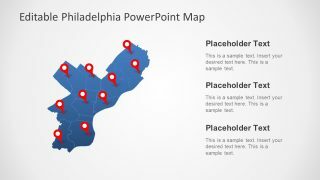 Because presenter can resize separate counties to highlight and label map. 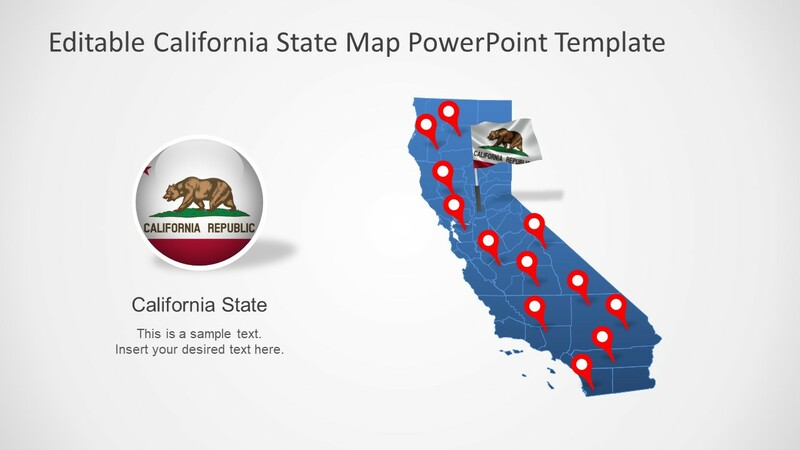 Hence, professionals can download and use this editable map of California to reduce effort.